Our silver hockey cufflinks can be engraved for a classic look. Our wooden cufflinks are also engraved, but are a more modern and eco-friendly alternative. 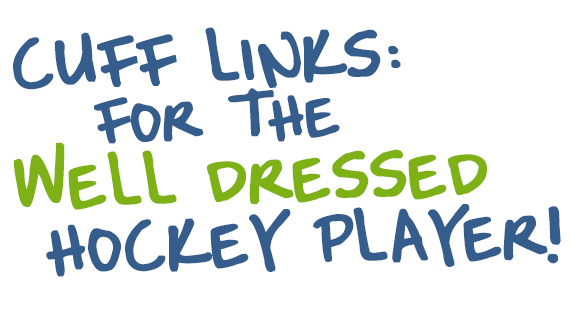 Both are excellent for the hockey player, fan, or coach who wants to make a statement when dressing up.